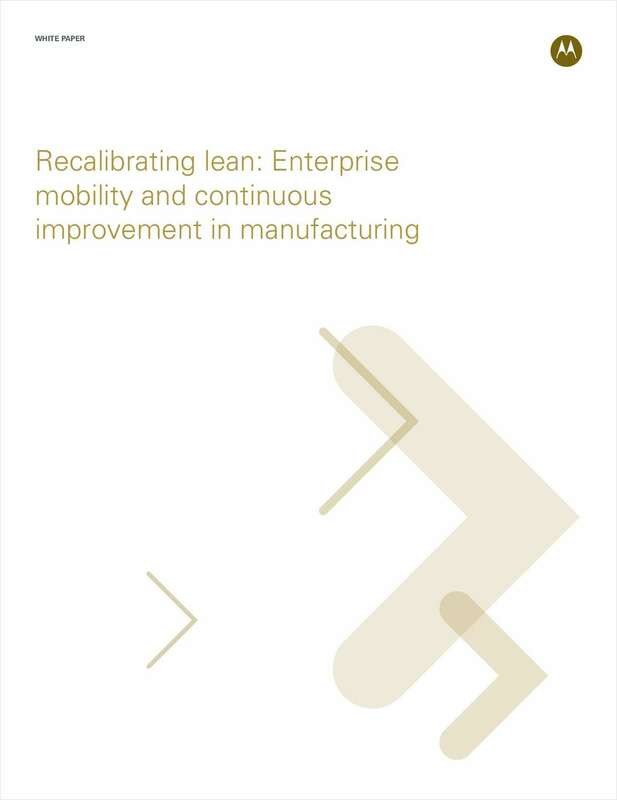 "Recalibrating Lean: Enterprise Mobility and Manufacturing Improvement"
Free White Paper: "Recalibrating Lean: Enterprise Mobility and Manufacturing Improvement"
Go to the next level in lean manufacturing by integrating enterprise mobility. Download Recalibrating Lean: Enterprise Mobility and Manufacturing Improvement to learn how mobility can error-proof your assembly line, dramatically boost accuracy of data, and root out potential process problems. By submitting this content request, I have legitimate interest in the content and agree that Motorola, their partners, and the creators of any other content I have selected may contact me regarding news, products, and services that may be of interest to me.